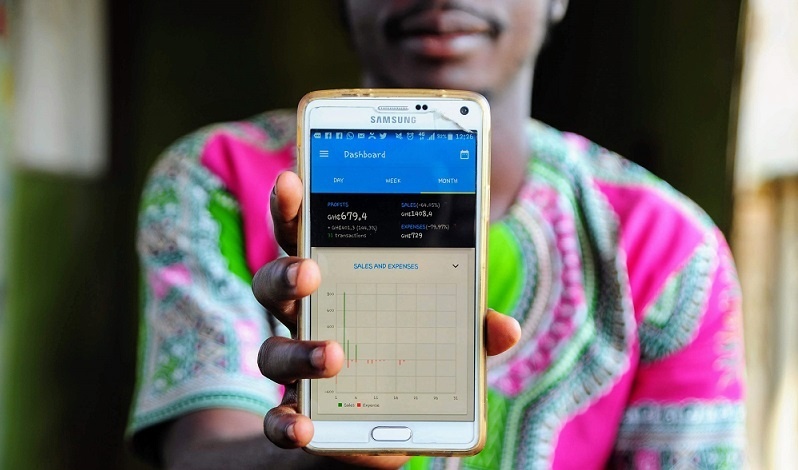 Ghanaian startup OZÉ is bringing small businesses into the digital era, aggregating their data to help them build credit profiles and access finance. Founded in 2017, OZÉ is a mobile app that helps small businesses record their sales, expenses, payables, and receivables. The platform then aggregates that data to provide context specific recommendations and reports. “While the user is building up their habit of record keeping, we are using machine learning to predict their credit risk,” co-founder and chief executive officer (CEO) Meghan McCormick told Disrupt Africa. The second side of the platform is a portal for financial institutions to source and support a portfolio of small business loans from the startup’s population of users. So essentially the platform equips small business owners to make data-driven decisions to improve their performance and connects them to capital to accelerate their growth. McCormick and co-founder Dave Emnett previously launched Guinea’s first business accelerator, Dare to Innovate, and it was in this role that the pair realised the need for a platform like OZÉ. “Working with thousands of entrepreneurs and small business owners, time and time again we were confronted with the fact that they lacked access to tools, information, and networks that could lead to organic growth,” she said. The pair started looking for a solution to this problem, and when they couldn’t find one, started to build it. That solution became OZÉ. “We are seeing an emergence of PoS systems which fail to acknowledge that the majority of payments for SMEs are still done in cash. We are designed for a cash-based economy and so we have designed a system that incentivises and creates habits around data collection,” said McCormick. McCormick said OZÉ is more competing against the status quo than an individual technology provider in Ghana, as it is usually only replacing a ledger book. So far, over 5,000 businesses have registered on the platform. Of businesses who record a transaction in their first week of using the app, 69 per cent are still using it six weeks later. “We are really happy to have this level of retention for a product that relies on behavior change at this early stage which shows us that businesses are getting real value from OZÉ,” said McCormick. The startup has also signed a partnership with Fidelity Bank Ghana to help it make loans to small business owners through the platform. While its early development was funded by grants from MIT, Wharton and Harvard, it is in the process of raising a seed round to build out its feature set and presence in Ghana. McCormick said OZÉ, which makes money from small businesses upgrading to a premium version, and from banks lending through its platform, also had pan-African expansion plans. “We hope to be in Nigeria by 2020 and South Africa shortly thereafter. Within five years, we aim to be the leading pan-African provider of small business solutions,” she said.